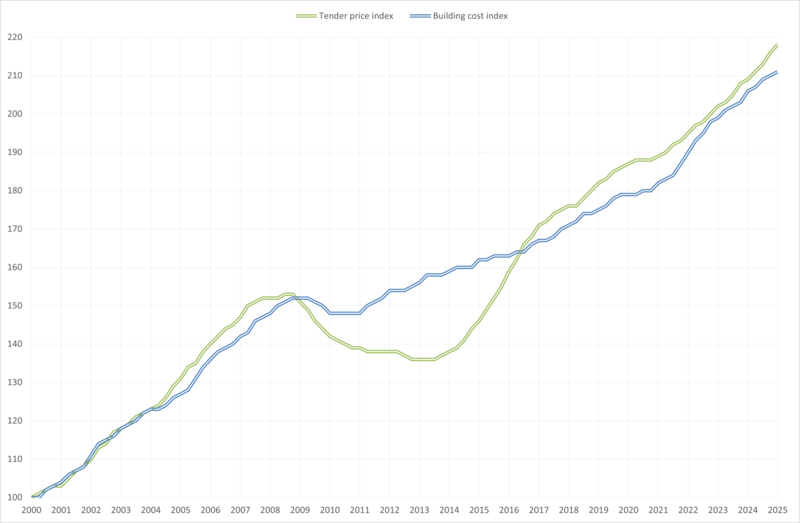 This page contains is a chart and table of historic, current and forecasted UK tender price and building cost indices compiled by Costmodelling Limited from information published by the Office of National Statistics, the RICS and several leading UK construction cost consultancies. The indices are based on Year 2000 = 100. Tender Price Indices represent the price for which the contractor offers to carry out the project, i.e. cost to client. Building Costs Indices are the costs incurred by the contractor in the course of his business, the principal ones being those for labour and materials, i.e. cost to contractor.